Since 2005, when the late president of Venezuela Hugo Chavez introduced the PetroCaribe initiative, several Caribbean governments have enjoyed a vital lifeline. 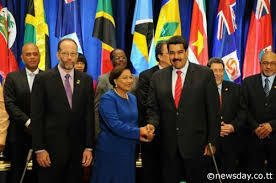 But the time may have come to review the scope and expectations of the PetroCaribe relationship in the interest of the beneficiary Caribbean countries and Venezuela itself. Under PetroCaribe, the beneficiary countries have been allowed to pay for 40% of oil shipments from Venezuela within 90 days (either in cash or in goods of equivalent value). The remaining 60% was repayable in 17-25 years at an annual interest rate of 1%. However, this benefit has not been without cost both to the Venezuela and the beneficiary countries. In reality, the debt has also become unsustainable for PDVSA, the Venezuelan oil company that has been the source of the credit to the many Caribbean countries. It is now clear that several of the Caribbean countries have not been repaying the debt and are not in a position to do so. In the circumstances, PDVSA and the Venezuelan government may be left with a huge debt. This would adversely affect the capacity of PDVSA to raise money from international lenders. Last month, Poor's Ratings Services lowered its long-term corporate credit and senior unsecured debt ratings on PDVSA to 'B' from 'B+'. Venezuela’s new President Nicolas Maduro is anxious to continue his predecessor’s relationship with countries in the Caribbean and Central America. Hence, he has been bending over backwards to try to continue the PetroCaribe arrangement while looking at other forms of co-operation with these countries. But, his own internal difficulties in Venezuela are mounting. The Economist Intelligence Unit reports that “Venezuela is currently struggling with a lack of foreign exchange, which has put significant pressure on the overvalued official exchange rate of BsF6.3 to US$1”. Additionally, inflation is in the high 30s, (while the Latin American average is 7%), the national debt is rising, and the fiscal deficit is growing; it is said to have tripled to 11 per cent of gross national product. There is also growing concern within Venezuela about money being spent on, or given-away to foreign countries while sections of the Venezuelan population are facing hardships – a justifiable concern and one that Maduro cannot ignore. Maduro wanted much wider changes to the PetroCaribe arrangements than an increase in interest rates from 1% to 2% that is reported to have been agreed at a PetroCaribe Summit in Nicaragua in June. Clearly, the pleas of beneficiary governments, who are ill-prepared to pay either the full price for oil or even an increased up-front price, caused the Venezuelan president to settle only for an increase in the interest rate on the loan portion of the arrangement – at least for now. There was talk in Nicaragua of the PetroCaribe member states creating an “economic zone”. No details have been made available so it is impossible to assess the implications of such a zone for Caribbean countries – particularly those that belong to the Caribbean Community and Common Market (CARICOM). However, it is difficult to see how such an agreement would work without Barbados, which is both a principal shareholder in LIAT and a major regional hub for air transportation. Barbados is not a member of PetroCaribe and, in the circumstances, it has to be assumed that any air services agreement would have to include Barbados and be concluded separately from PetroCaribe. In a continuing spirit of good neighbourliness, President Maduro is reported to have told leaders of CARICOM countries on July 6 that his government is willing to help the region in the areas of maritime transportation and food security. If the CARICOM governments and Venezuela could settle such arrangements in a shared manner and as partners in the area’s development (including with the private sector), an exciting new era in Venezuela-Caribbean relations could open-up. It would change the dominance in the present relationship of PetroCaribe that now holds perils as much for Venezuela as for its other members.